Once you've settled on the perfect engagement ring, don't forget to inquire about jewelry lab certificates and appraisals. These are two separate items you'll need to ensure that you know everything there is to know about your ring. 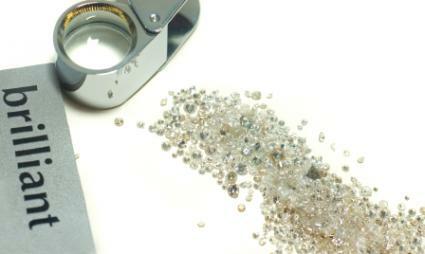 Jewelry lab certificates are typically only issued for loose stones and not for the entire ring. Certificates are also sometimes referred to as grading reports because they give a grade to the stone based on that stone's specific properties. When looking at the properties of a stone, there are generally four specific areas that are given attention. Cut: This refers to the proportions and finish of a stone that has been created by a jewelry cutter. Color: Since all stones, including diamonds, come in a variety of colors, and some of these colors are considered more valuable than others, color is vital when determining a stone's value. Clarity: This refers to how flawless a stone is. Depending on the stone you choose, inclusions or flaws can have a huge bearing on its quality. Carat: This refers to the weight of the stone. Two of the most well-known and well-respected labs are American Gem Society (AGS) and Gemological Institute of America (GIA), although there are other labs as well. Grading reports or jewelry lab certificates indicate whether a stone is natural, created, or cultured. They identify the characteristics of that stone in case of loss, theft, or damage. They verify to the owner that he has gotten what he believes he purchased, not an imitation or lesser quality stone. While the report itself does not add value to the stone, it will attest to the worth of that stone. The current retail market value of the ring. A complete description of the ring. The clarity, carat, color, and cut of the ring. If it is another gemstone, pertaining details such as color and carat or weight should be given. The shape of the stone should be listed. The type of metal, such as platinum, yellow gold, or white gold, should be given. There are several reasons for obtaining an appraisal. While you should be able to tell the difference between fake jewelry and real, it can be much more difficult to discern the difference between synthetic jewelry and cultured or created stones and natural stones. An appraisal should give the exact details of anything that has been done to the stone and indicate if it is genuine, synthetic, or treated. The quality of the engagement ring you purchase should be a good indication of the price you will pay. This is another reason why appraisals are so important. Of course, you always want to get a good deal, but you also want to be sure you are buying a quality ring. An appraiser has a specific role to fulfill if he does his job correctly and adequately. An appraiser or gemologist should have gone through extensive training in order to appraise properly each stone or piece of jewelry. He should receive the title of Master Gemologist Appraiser, and he will need to continue his training throughout his career as new developments in appraising arise, such as new diamond shapes and different metals. Should you let the seller of your ring be the one to do the appraisal? Actually, no. You will get a much better and fairer appraisal if it comes from an independent appraiser. You should not give the appraiser any information about the stone, such as where you are purchasing it. You don't want to sway the appraisal of the stone in any way. You should also have an agreement with the seller that if you are dissatisfied in any way with the appraisal, you can bring the ring back for a full refund. Be sure you get this in writing before proceeding with your purchase! While jewelry lab certificates and appraisals are different things, they can both give you valuable information about the quality and value of your gemstone.